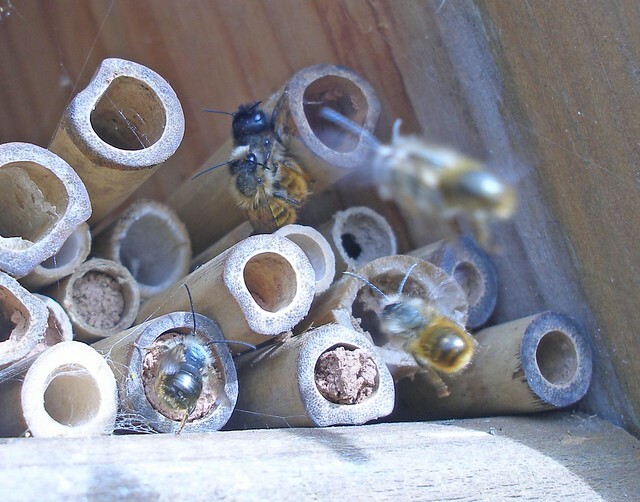 Last year, I watched, fascinated, as Mason Bees (Osmia bicornis) made nests in tubes in a commercially produced Bug House situated in a local community garden, the Leechwell Garden. 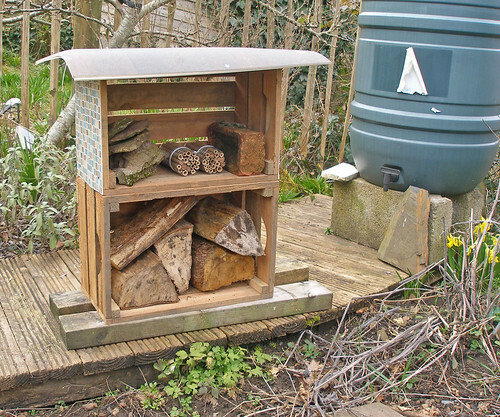 This Bug House is meant to be educational and so has been placed in a prominent position. This brings with it the risk that it will be subject to some attrition; indeed the removable tubes were tampered with both last summer and this spring and the Bug House was knocked off the wall twice during the winter. I wanted to build another Bug House for the Leechwell Garden to be put in a less vulnerable place but it proved impossible to find a suitable position. 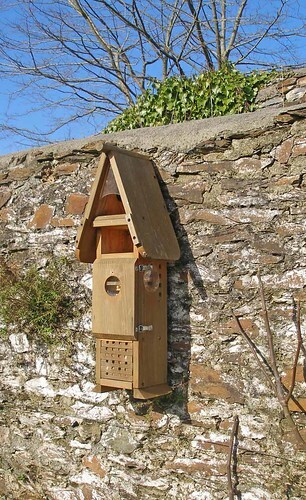 I went ahead anyway and placed the new Bee House at the bottom of my garden which is about 100 metres from the Leechwell Garden (as the bee flies). The Experimental Bee House at the beginning of the season (March 2015). I hope you can see the two vegetable boxes with the sides of the top one insulated with recycled vinyl floor covering, also the protective roof. Two cassettes with tubes are in place in the insulated top box . The garden still looks dormant although a few daffodils are visible. My aim was that this experimental Bee House should be made from recycled materials so that it could be replicated by others at minimal cost. 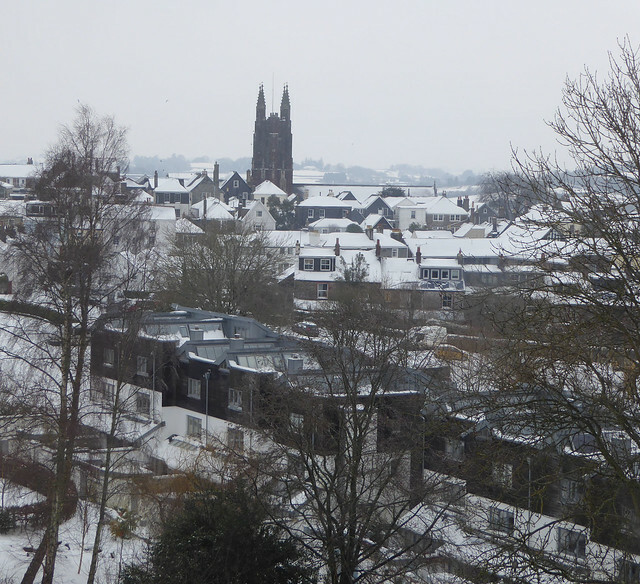 I looked around for suitable materials and one day as I was passing the Totnes shop of Riverford Organic, our local organic grower, I saw some vegetable boxes in the window. These looked ideal to make the body of the Bee House so I contacted them and they kindly gave me two boxes. The boxes were not fully sealed, needing insulation and rain protection, so I went to CarpetRight in Newton Abbot and they kindly gave me some samples of vinyl floor covering. I used these to insulate the sides of the new Bee House and to give it a roof. I found some logs, stones and bricks to provide ballast and stability as well as providing potential homes for insects. I sited the new Bee House so that it caught the early morning sun. 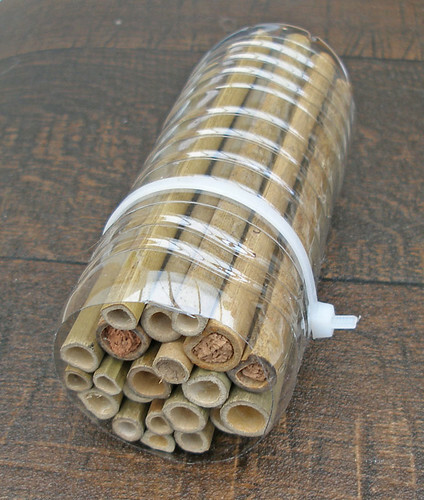 I wanted to provide tubes for the bees to nest in and had hoped to use inexpensive bamboo canes from the garden shop. Although I was able to cut up the canes, I found they were filled with soft material and unusable. I, therefore, had to buy solitary bee tubes from Wildlife World, my only outlay. One of the cassettes holding the bee tubes. The tubes are organised in to an old mineral water bottle and secured with a cable -tie. 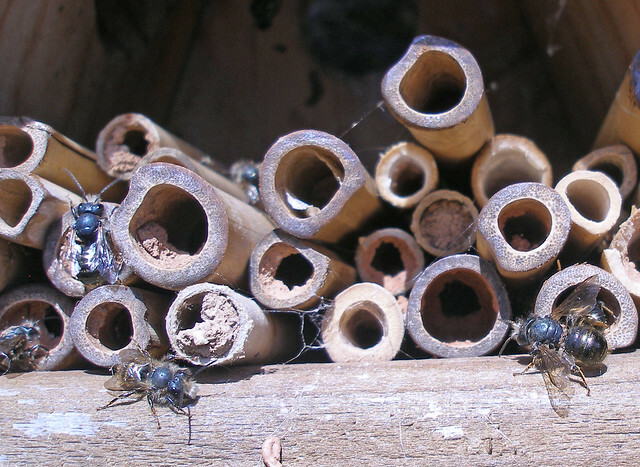 Four of the tubes contained mason bee nests from last year. The tubes were organised in to cassettes. Each cassette was based on an old mineral water bottle cut down below its spout but long enough to protect the tubes. About 20 tubes were placed in to each cassette and these were secured using a cable-tie. I put out two cassettes in March, each containing four tubes with nests from last spring in order to give the new Bee House a start. A third cassette went out on May 28th when I thought the bees needed extra capacity but only two tubes were filled. The end of season view. In two cassettes most of the tubes have been filled, in one cassette put out later two tubes were filled. Some tubes where the seal was broken have not been refilled. After I had made the cassettes I read that plastic is a poor choice because it is not breathable but by that time it was too late to change design. 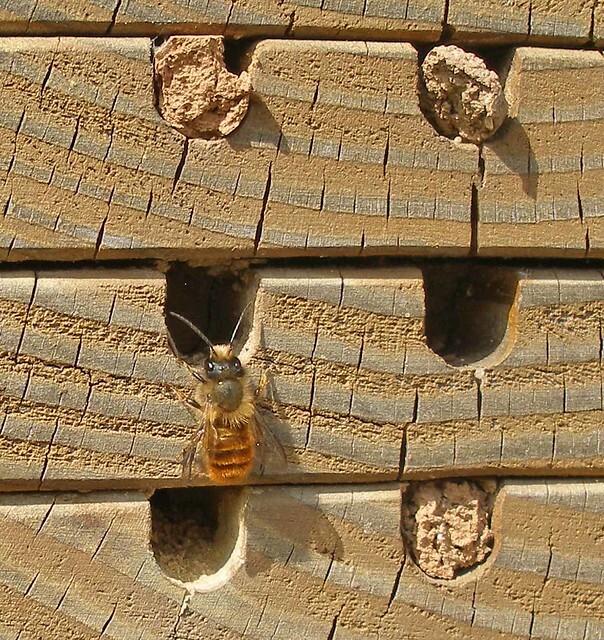 Despite this, the new Bee House seemed to have functioned well and many of the tubes were filled by hard-working female bees during spring 2015. This is described in the previous post. 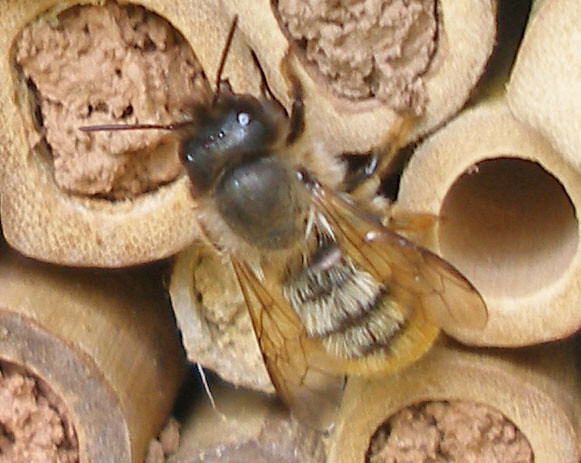 As we humans continue our lives and perhaps savour the prospect of settled warm weather and holidays, the busy part of the year is already over for the solitary Red Mason Bee (Osmia bicornis). 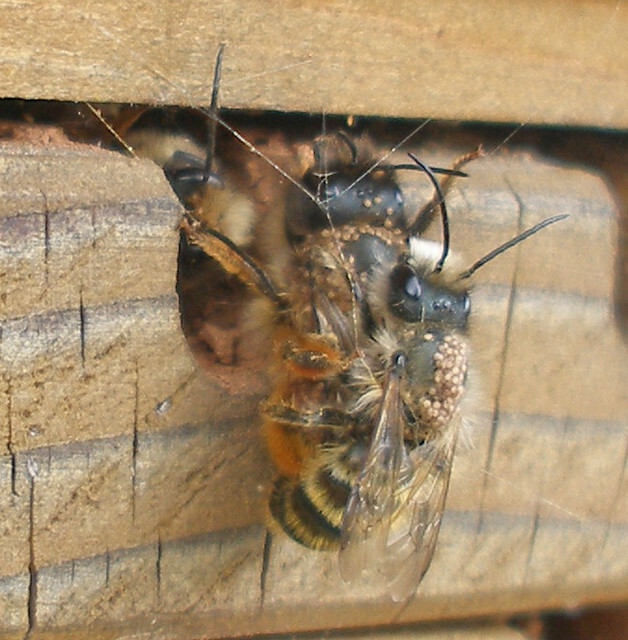 These important pollinators began their activity in early spring and have now built their nests and laid their eggs. 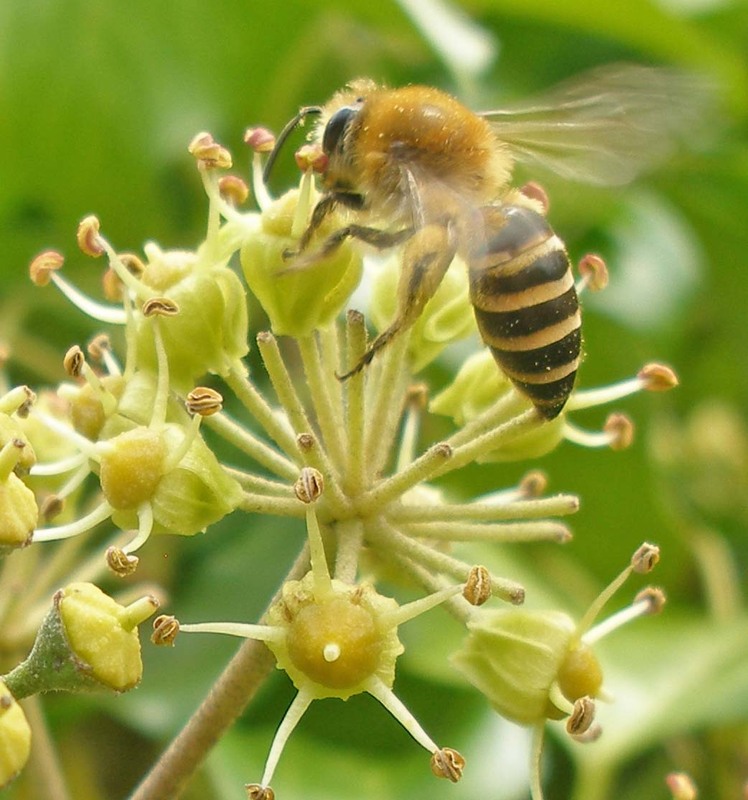 This week is Pollinator Awareness Week so it is especially important that we think about how to protect and encourage these pollinating insects. 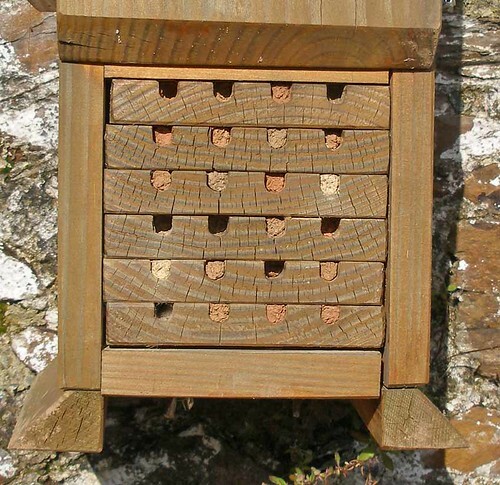 Both Bee houses contained mason bee nests (in removable tubes or in wooden blocks) constructed a year ago. 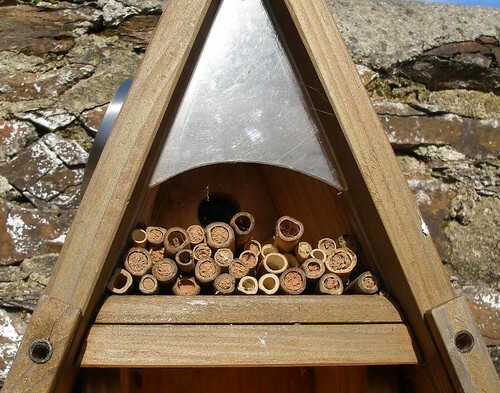 The removable tube nests overwintered in my garden shed and were put out again on March 6; twenty four filled tubes and some empty ones went in the Leechwell Bug House and eight were put in the new Bee House. 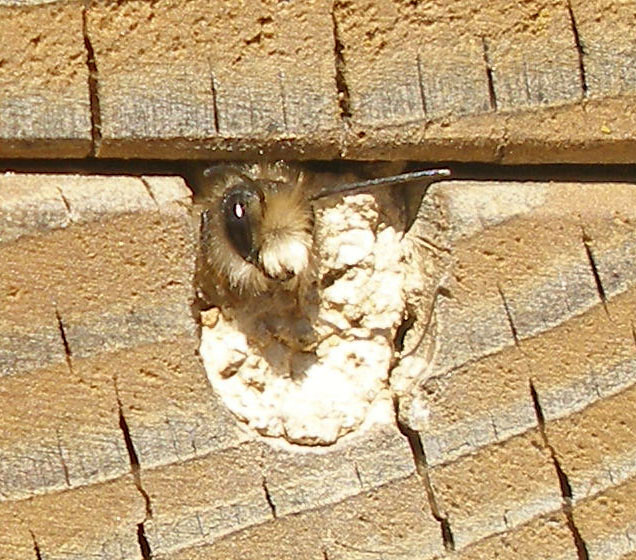 The wooden block nests stayed out all winter as they are an integral part of the Leechwell Bug House; they may have suffered damage when the Bug House was dislodged from the wall. I watched the tubes carefully from mid March and was very pleased to get the first hint that a male had emerged when, on April 16th, I noticed that one of the mud seals had been broken. The day before had been very warm so perhaps that encouraged the bees. Over the next week, I began to see males flying about near the two Bee Houses. Fresh males are very beautiful: about two thirds the size of a honeybee and with long antennae, they have vivid orange abdominal hairs, a fringe of beige hair around the thorax and a very distinctive pale “moustache”. 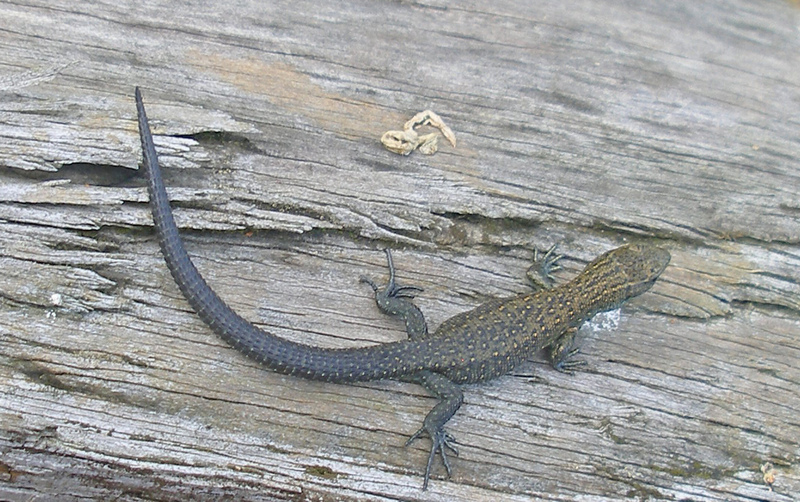 Some look a bit different: they have few abdominal hairs and look rather shiny. 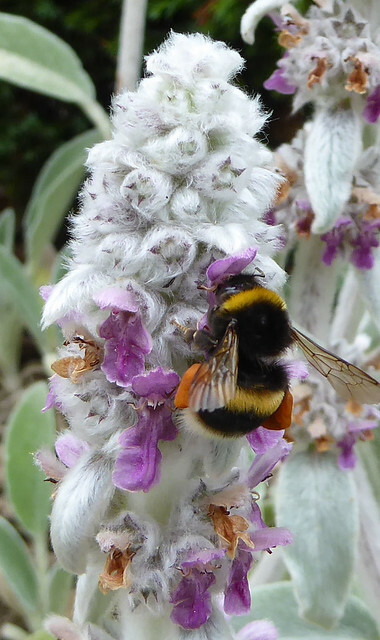 The numbers gradually increased over the next two weeks and on sunny days there would be a cloud of male bees near the Leechwell Bug House (perhaps as many as 30) behaving in a very characteristic way. They would fly about, swinging from side to side rather like a metronome, sometimes stopping to look in to a tube, sometimes flying off to feed on nectar. They would also “bomb” one another, especially another male that had stopped to rest or to warm up. I saw one male try to pull another out of a tube and, once his friend was out, he tried, rather unhelpfully, to mate. The cloud of bees would work themselves in to a frenzy when it was very sunny or when a male/female mating pair was present, perhaps they could they smell other females. 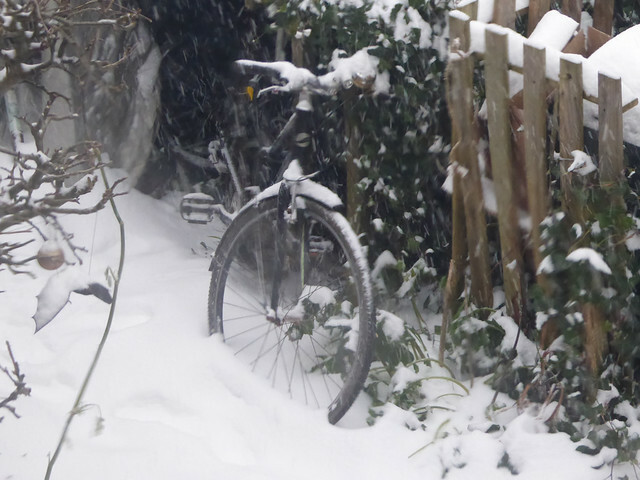 All this activity would stop when the temperature fell to 11oC or lower. 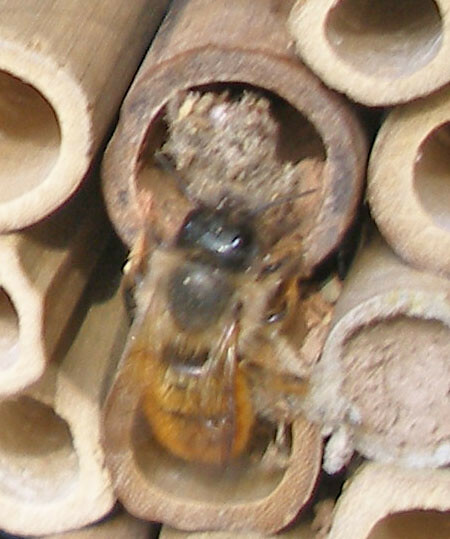 The males would retire to the tubes in the Bee House, sometimes two or more in one tube where they would look outwards waiting until the conditions improved. 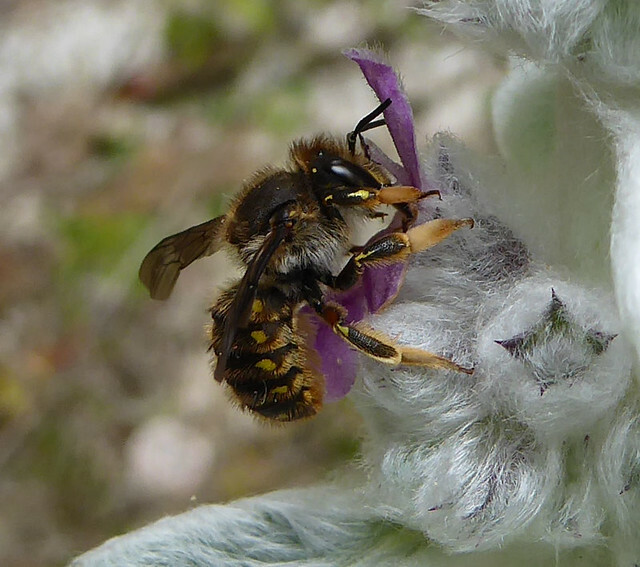 Other bees such as the Hairy Footed Flower Bee continued to forage at this temperature and the disparity may have something to do with size, the larger insect being able to tolerate the lower temperature. The stillness of the mating pair and the frenzy of the other males. I didn’t witness any females emerging from their nests but I knew that had happened when I saw mating pairs on April 28th and May 7th in the Leechwell Garden. This was an exciting moment as it was a first for me. I was amused to see the female in the first pair decide to go walkabout; the poor male had no option but to sit there even when dragged in to a hole smaller than comfortable for two bees. My excitement was tempered by noticing many mites on the first mating pair which I suspect is not good news for the bees. The latter mating pair did not have the mites as far as I could tell. Some of the males continued to patrol the Bee houses up to a month after emerging, ever hopeful of finding a receptive female. 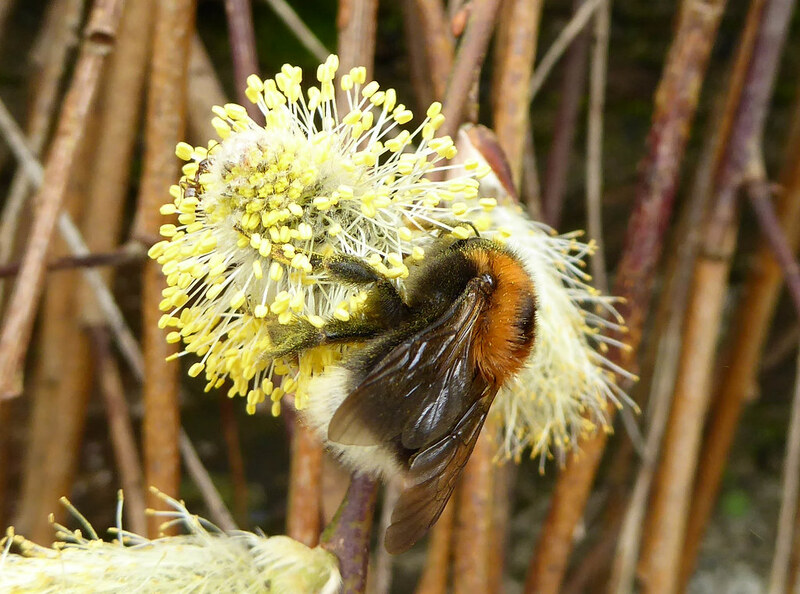 By this time they were wizened and black and didn’t look like red mason bees any more apart from their white facial hairs. Perhaps we would also look sickly if we fed on sugar alone. They disappeared altogether by the end of May. 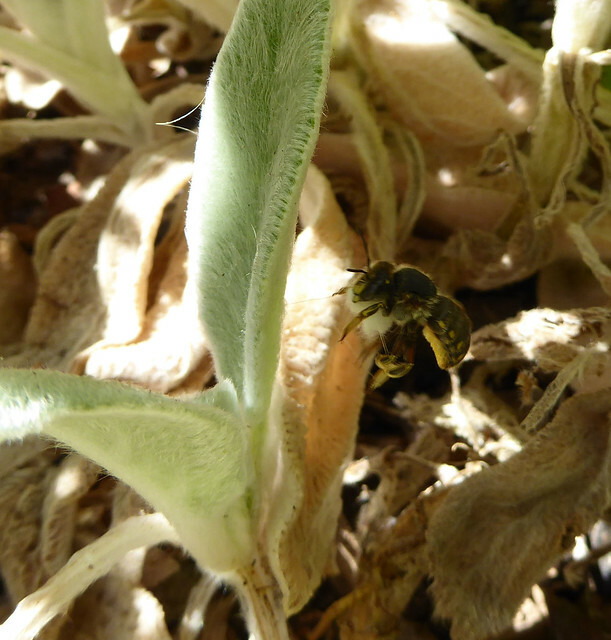 May 12th was another exciting day as I saw chrome yellow pollen on the floor of the Bee House at the bottom of my garden for the first time: I now knew that the females were busy building nests. 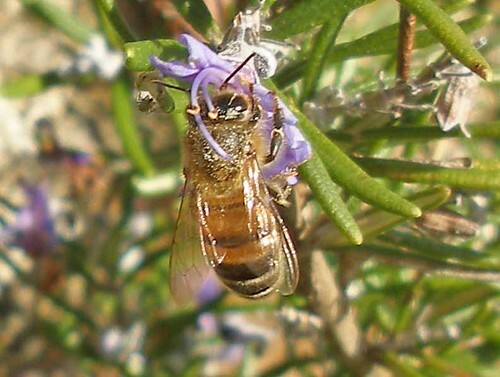 The females are also distinctive and very beautiful, about the same size as a honeybee and larger than the male with, on their head, two horns which they use for tamping down mud. They lack the pale “moustache” but like the males, their abdomen is clothed in vivid orange hairs when freshly emerged. 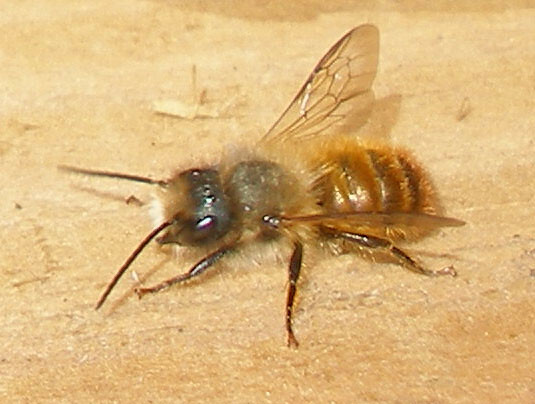 Female red mason bee. The horns are just about visible. Her colour has faded and a better view of a fresh female with her orange hair is seen in the mating pictures. I watched the females returning after foraging, buzzing loudly and entering tubes head first. After a short time they reverse out, turn round and back in to the tube. I am not sure what is happening here but I witnessed the behaviour many times. 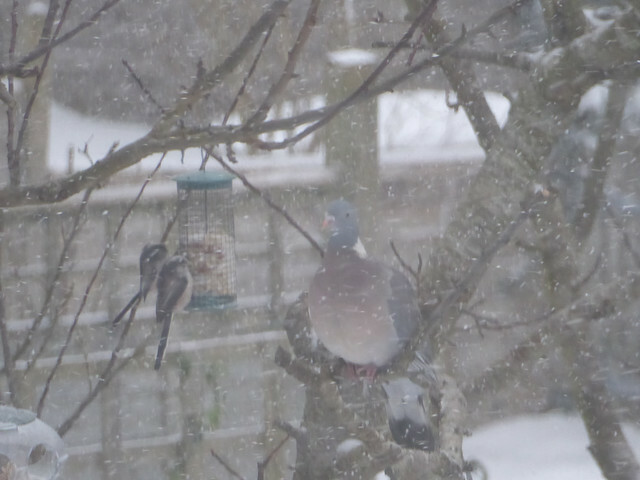 Once this elaborate manoeuvre was complete they flew off for more. I also saw one female building a mud partition. She added mud to the inner surface of the tube and gradually, over several trips to collect mud, built the partition inwards keeping it symmetrical and circular before sealing it off. Throughout the season, there seemed to be plenty of forage about and no shortage of mud for nest building. 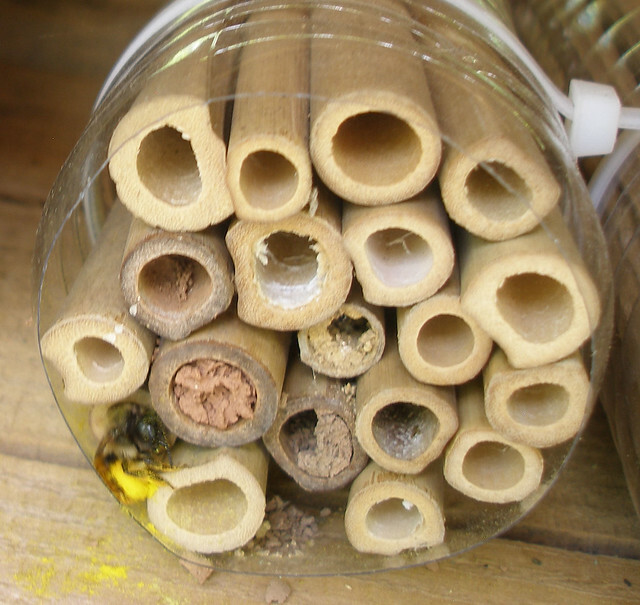 For both Bee Houses I saw females continuing to fill tubes in to the third week of June. In both locations, the number of females seemed very low, especially as there were plenty of males. Last year most of the tubes and wooden block holes in the Leechwell Bug House were reused by females who cleaned out the mess before re-provisioning them. 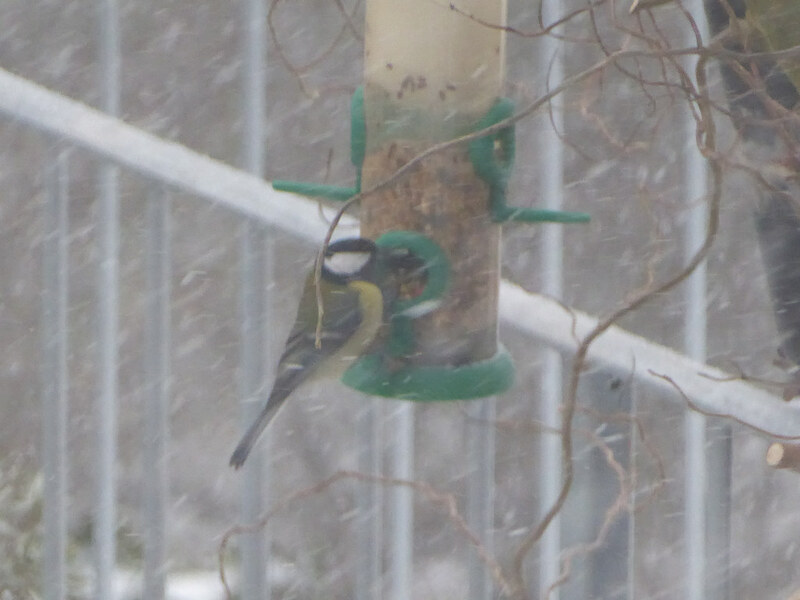 This year the females did reuse old tubes but seemed to prefer fresh tubes when available. In the Leechwell Bug House I saw only two females but they filled more than twenty tubes. Males emerged from the wooden block nests but none of these was reused. At the bottom of my garden there were at least four females and they filled twenty four tubes. In both locations, the mud seal on some of the tubes remained intact and neither males nor females appeared. End of season for the tubes in the Leechwell Garden Bug House. Many are filled, a few have not been reused and a few have not been used at all. I don’t know why this year has been less successful but I wonder if the tubes were tampered with at a critical time. I know that some were stolen last summer so I presume that, at that time, many of the tubes were disturbed. I also suspect that the tubes in the Leechwell Garden were tampered with again in March this year. Perhaps this double interference damaged the developing females. The Bug House also fell to the ground twice and perhaps the wooden block nests were damaged. Another possibility is that mated females were produced but decided to go elsewhere. A third possible explanation would be that the old tubes had been infected with another organism that damaged the developing bees. I opened up the wooden block nests to see if I could glean any information about these problems. None of these had been refilled this year, whereas last year they were all reused. The wooden blocks were very messy: I could see the individual cells made by the bees but there were no intact dead bees. The nests were filled with a brown dust although within this dust I could see dead larvae. It was also clear that in many cases the mud partitions between cells were still intact. There had clearly been a major problem with these nests and I suspect that they may have been infected. The bees avoided these nests so they seemed to know that something wasn’t right. I am beginning to think that new tubes should be supplied each year to make life easier for the bees and to avoid build-up of contamination. Now it’s important to leave this season’s nests so that the eggs can develop and grow in to larvae. I need to wait until late autumn before moving them. 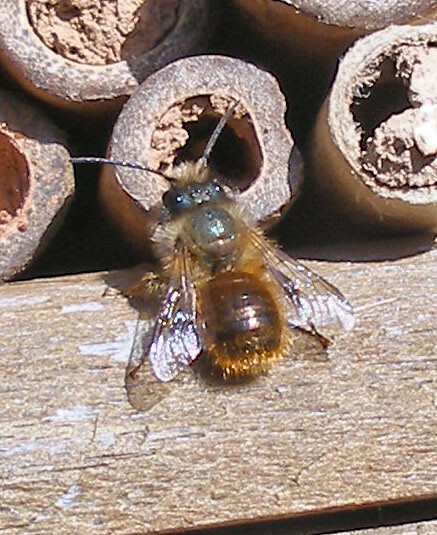 It’s been another fascinating season of Mason Bee watching and as before I have been enormously impressed by the hard work and ingenuity of these bees, especially the females. The males have only one purpose but they seem to do it well. Watching these bees is not only a fascinating experience, it also makes you aware of the interconnectedness of the natural world. 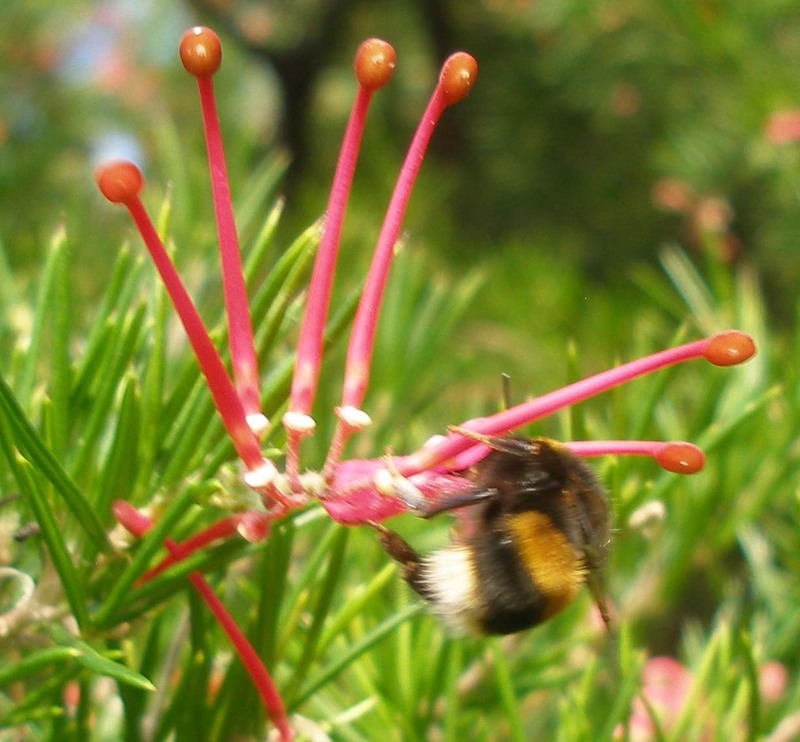 The bees depend on flowers and the flowers depend on bees. We mess with these relationships at our peril and perhaps we understand our own place in the world by realising this. The highlight of season for me was seeing the chrome yellow pollen for the first time. 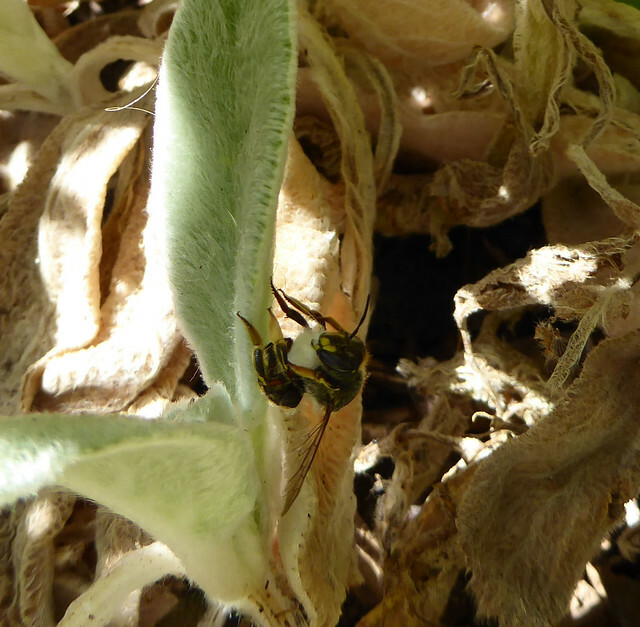 It signified that everything was working; females had mated and were visiting flowers to continue their species. 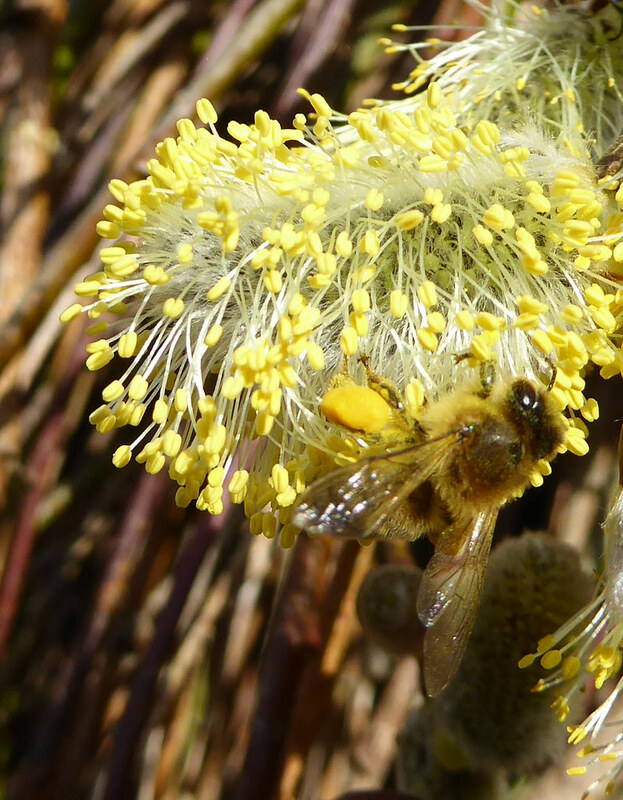 Fresh yellow pollen has a colour like no other, it seems to glow with the energy of sunlight and signifies the unfolding spring. 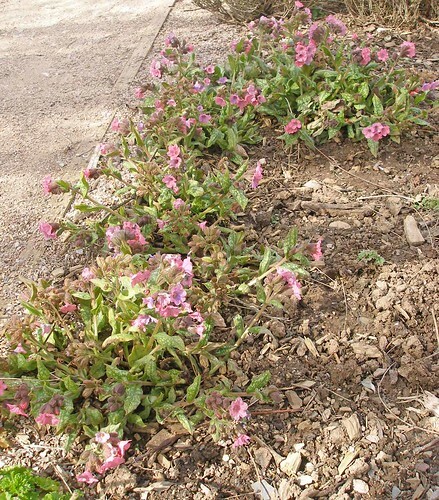 I’ve recently been watching several patches of lungwort (Pulmonaria) in different parts of the town. It’s one of my favourite spring flowers bringing much needed early splashes of colour as well as food for the few bees out and about. 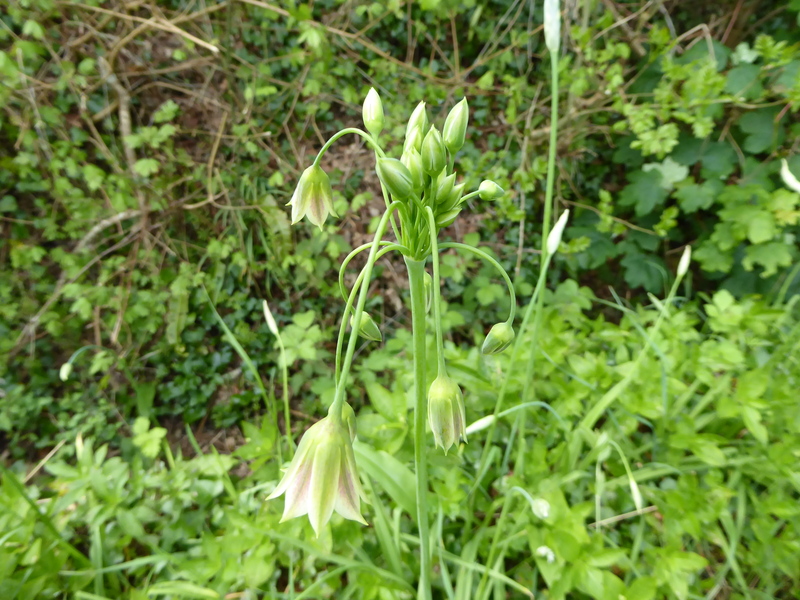 I’ve found some of the common form with its pink and blue flowers and dappled green leaves. The Leechwell Garden also has three other cultivars, one with deep blue flowers, another with smaller white flowers and a large patch with coral pink flowers, some tinged with blue. 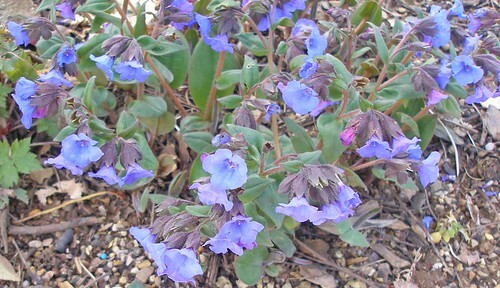 Blue lungwort in the Leechwell Garden, note the unspotted leaves and the pinker immature flowers. White lungwort in the Leechwell Garden. Pink lungwort in the Leechwell Garden. The common form of lungwort (Pulmonaria officinalis) grows wild over much of mainland Europe but it has been naturalised in Britain for many years. The oval, fleshy green leaves are decorated with silver grey spots and grow in a jumble near the ground. 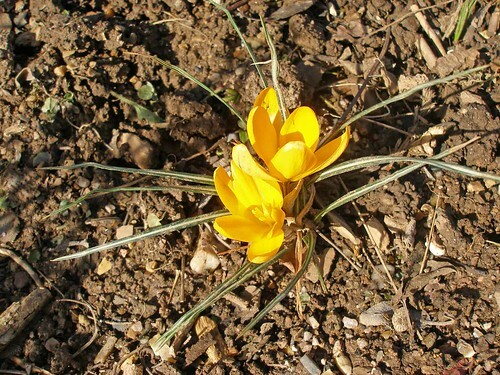 In early spring the plant launches volleys of brightly coloured trumpet-shaped flowers carried on sturdy stems. 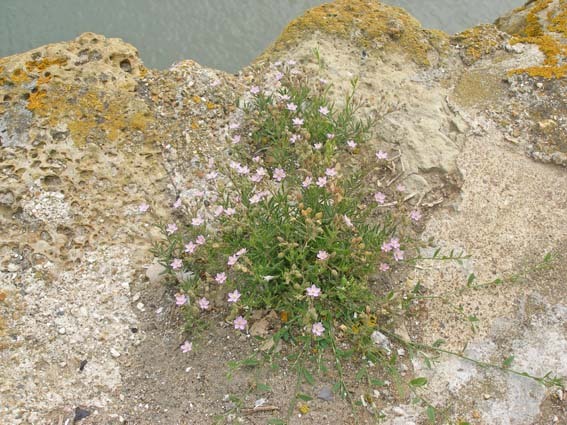 The immature flowers are a deep reddish pink fading to a paler pink as they grow and mature. 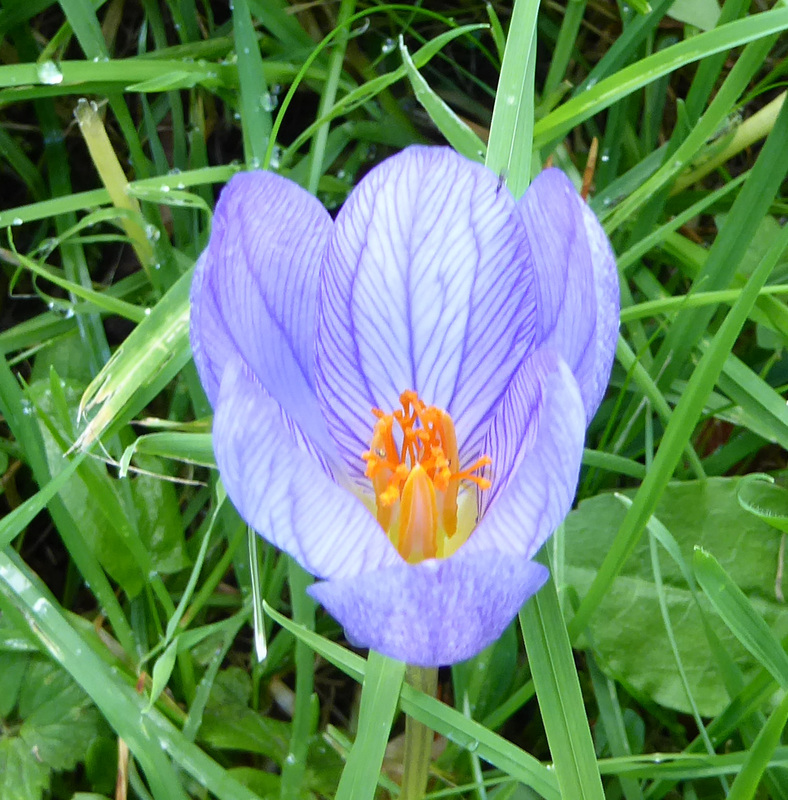 The flower colour changes again as it ages, this time to a mauvish blue so a vigorous plant may carry two or three principal shades of flower. On a large clump of the plant the flowers shimmer and dance in the cool breezes that predominate at this time of year, creating a haze of strong colour. Common lungwort showing the colour variation. There’s an interesting chemical story behind the flower colour change which may transport you back to school chemistry lessons and messing around with litmus paper. The flowers of common lungwort (Pulmonaria officinalis) contain coloured pigments (anthocyanins) that are sensitive to acidity. As the flower ages, there is a change in the pH (a measure of acidity or alkalinity) and the pigments change colour accordingly. The young flowers are acid and their colour is red or pink. As they mature the acidity drops and the flowers eventually turn blue. 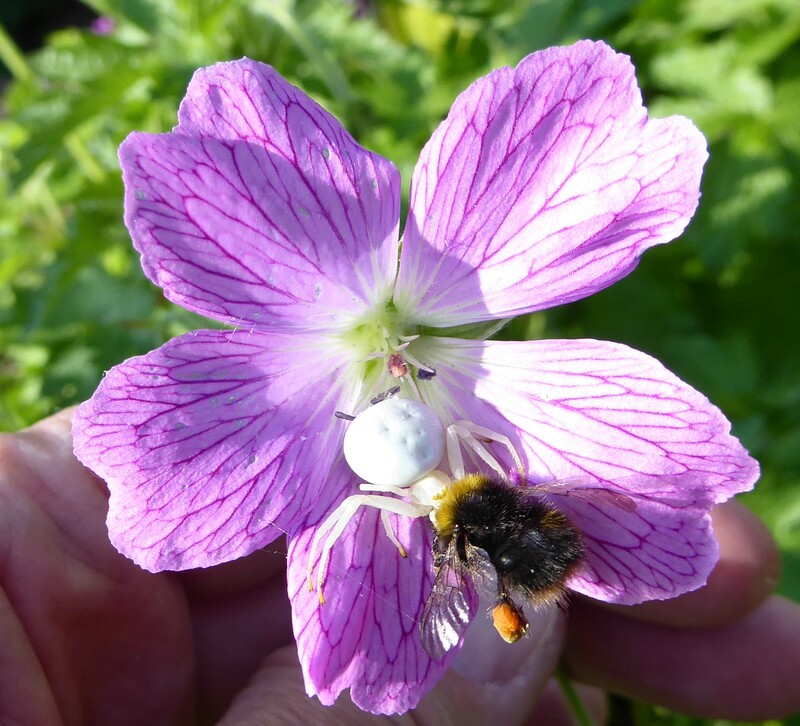 But this is more than a chemical curiosity, the colour change is a signal to pollinators. 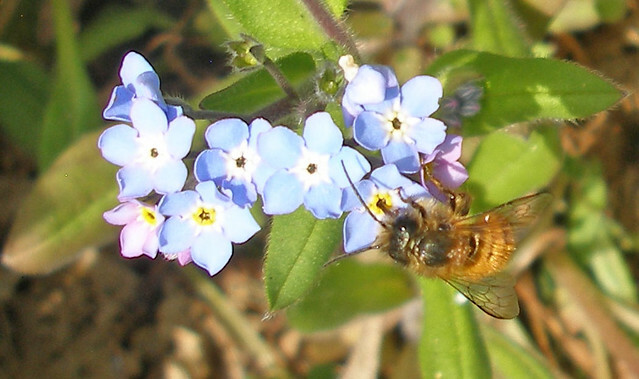 The pink colour tells pollinators that the flower has plenty of nectar whereas the blue says “don’t bother”. 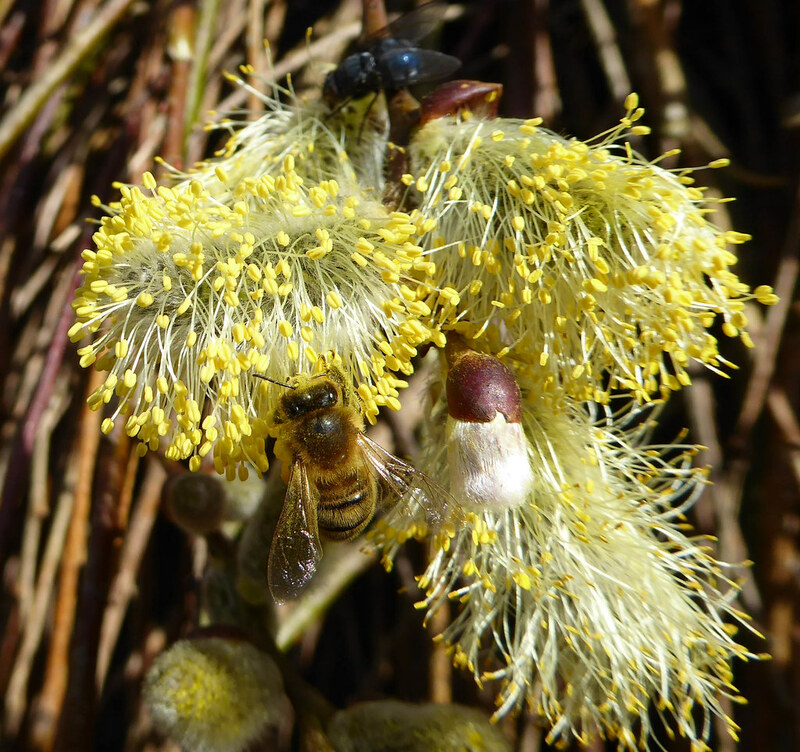 Hence pollinators don’t waste time visiting low-nectar blooms and they may visit several plants looking for high nectar flowers increasing the chance of cross pollination. This, of course, raises the question of what happens in cultivars where the flower colour does not change. It is widely reported that early botanists saw a resemblance between spotty lungwort leaves and diseased, ulcerated lungs. 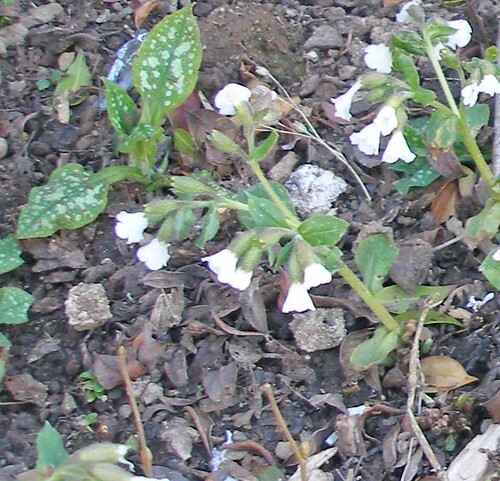 That’s how the name, lungwort and its Latin equivalent, Pulmonaria are supposed to have arisen. I would like to know more about this resemblance because I have no idea what “diseased, ulcerated” lungs look like. I tried to find pictures but that didn’t help either. I wonder which lung disease these early botanists, who were also physicians, were thinking of? The apparent resemblance between the spotty leaves and diseased lungs also led medieval physicians to use lungwort preparations to treat respiratory conditions. 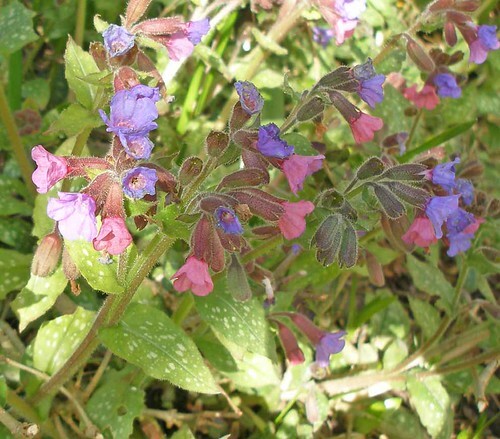 Indeed lungwort has a long tradition of medicinal use and “officinalis” refers to this. In his 17th century herbal, Culpeper asserts: “It is of great use in diseases of the lungs” and to this day, herbalists use extracts of the plant to treat coughs and bronchitis. 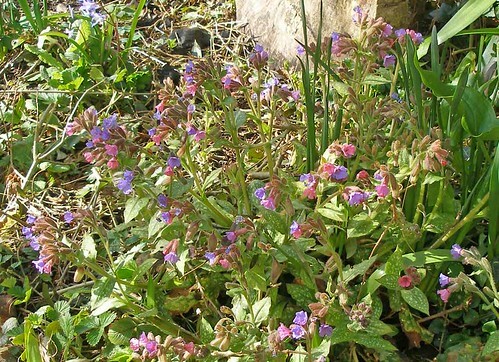 The connection between lungwort leaves and diseased lungs did not impress everyone and the plant has a host of other common names of different provenance. Some refer to the Virgin Mary or where she lived, hence the names Our Lady’s Milk Drops, Mary Spilt the Milk and Jerusalem Cowslip. Another name is Soldiers and Sailors which makes a link between the flower colours and the red and blue uniforms of the army and the navy. 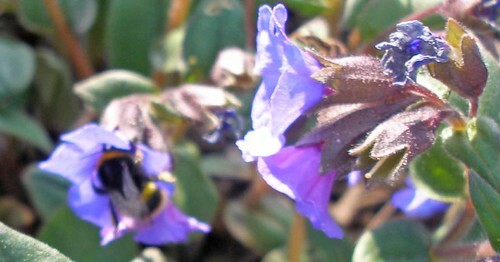 A bumblebee on blue lungwort in the Leechwell garden. 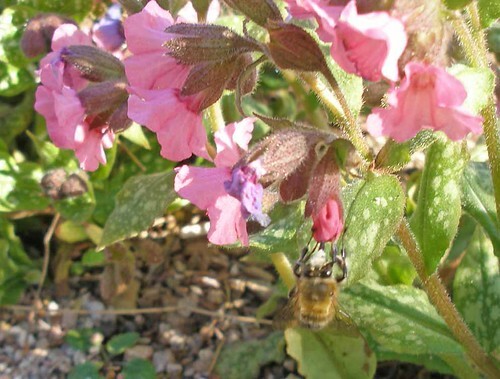 But what about those pollinators that are being lured by the siren-colours of lungwort flowers? 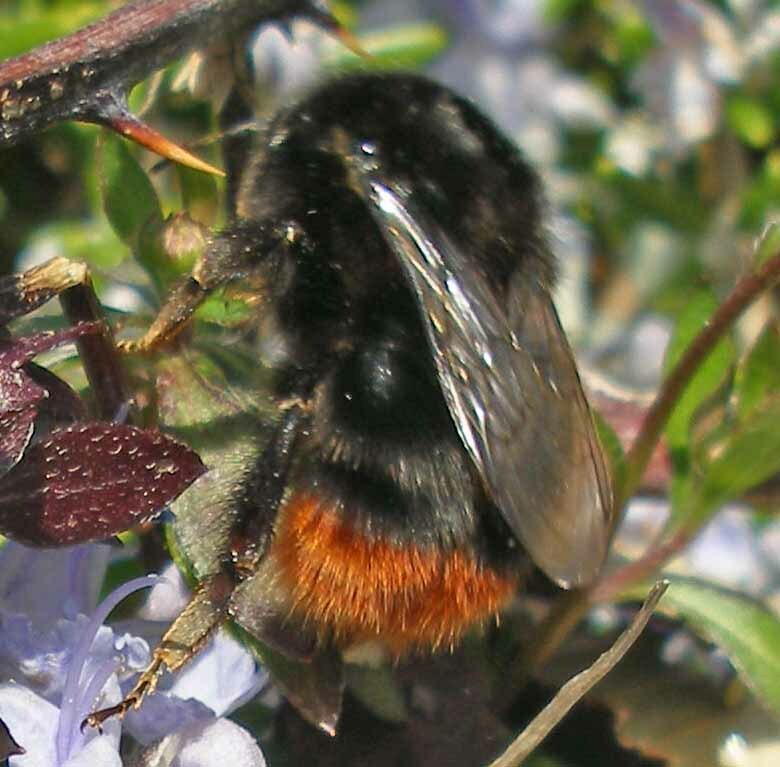 I’ve seen honey bees and I’ve seen one small bumblebee which I guess is a worker based on its size. 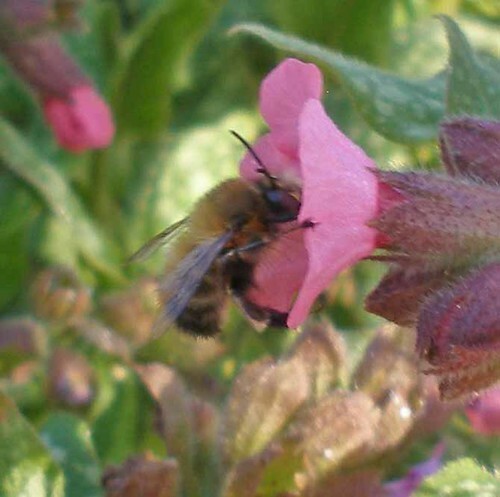 But what I’ve been waiting for is Anthophora plumipes or the Hairy-footed Flower Bee and I saw my first one, a male, on March 17. 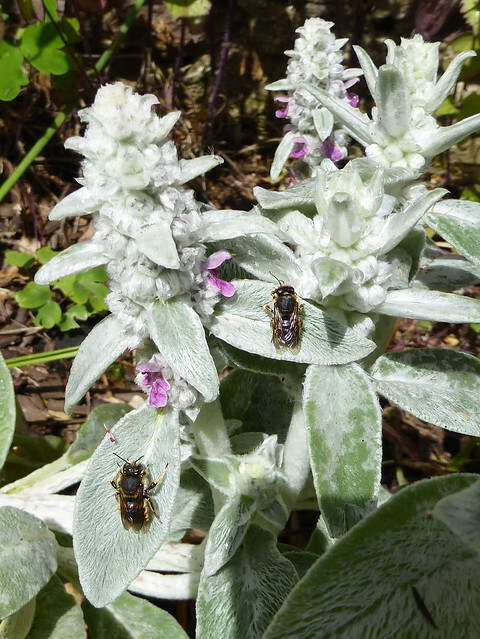 These are fairly large furry bees, the males who emerge first being gingery and the females black. They love lungwort and most days now when I go to see the Leechwell Garden lungwort I am rewarded by the sight of a male with his pale face and characteristic restless, staccato flight pattern. 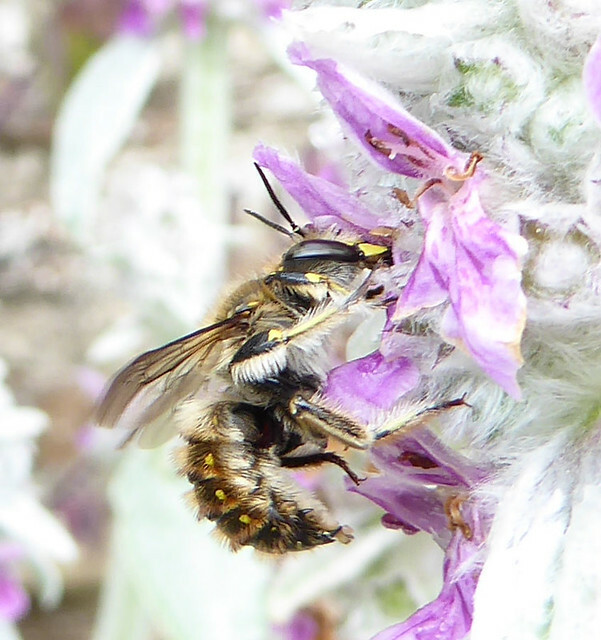 These Anthophora move quickly from flower to flower often buzzing loudly as they go and making it very difficult to take photos. Sometimes they disappear when I arrive but they also sometimes come to have a look; they hover near me, move in a straight line to another spot, hover again and repeat this behaviour around me until satisfied. 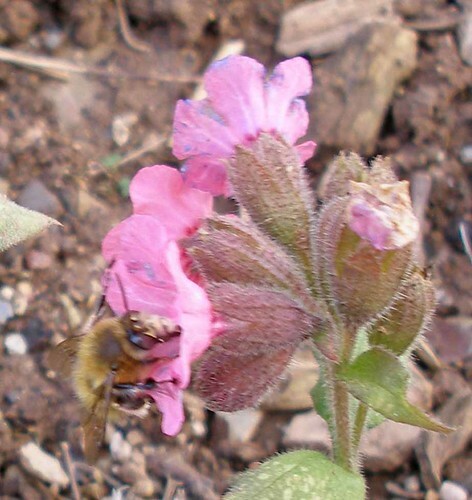 A Hairy-footed Flower Bee feeding from pink lungwort in the Leechwell Garden, note the pale face. There must be plenty of these solitary bees about for me to see them so easily, unless of course it’s a few very busy bees. So far I have seen no females, but when I do, I will update this. 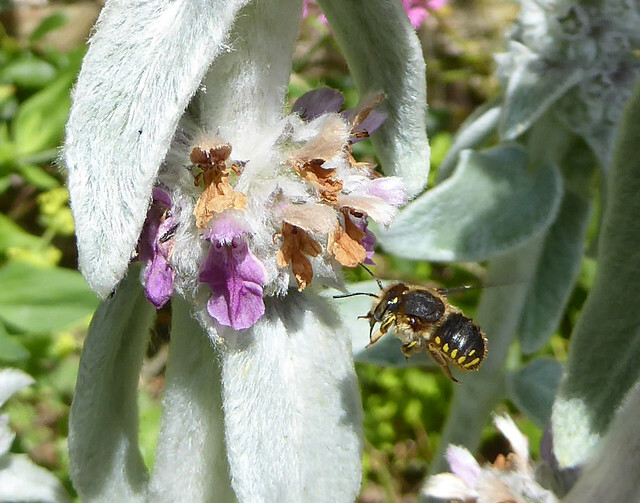 Yet another Hairy-footed Flower Bee. 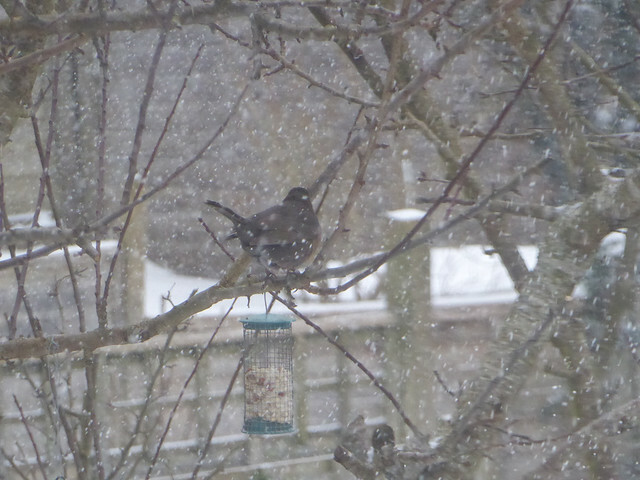 Update: I finally saw a black female on some primroses on April 12th. 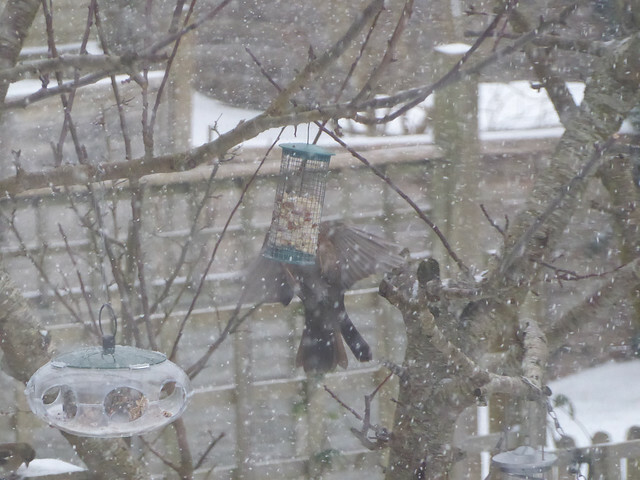 Ironically it was in our back garden, although we are quite close the the Leechwell Garden. 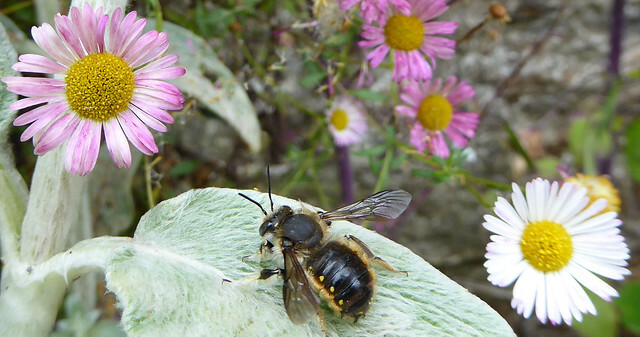 It’s nearly a year now since I began watching some solitary mason bees (probably Osmia bicornis) in the Leechwell Garden, the community garden in the heart of Totnes. I was entranced as I watched the mated females building their nests in the removable tubes and in the holes in the wooden block of the fine Bug House attached to one of the old walls. 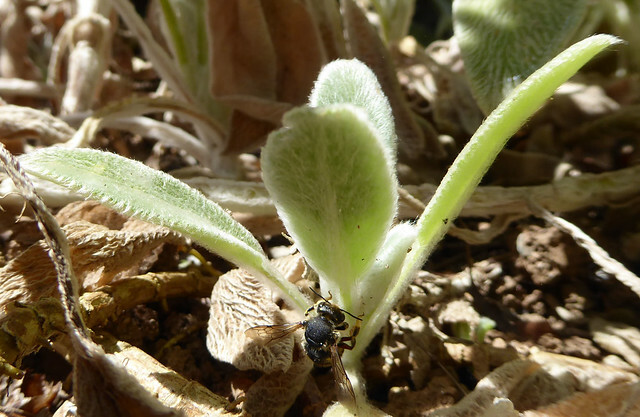 They taught me so much about the life of a solitary bee. 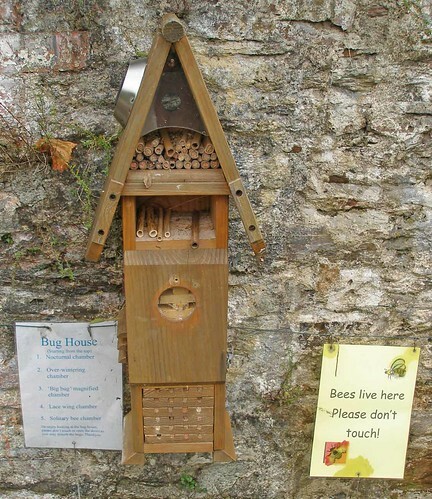 The Bug House in October 2014 showing the removable tubes above and the wooden block nests below. The Leechwell Garden is a public space and the Bug House is meant to be educational so it is understood that there will be a certain level of attrition. 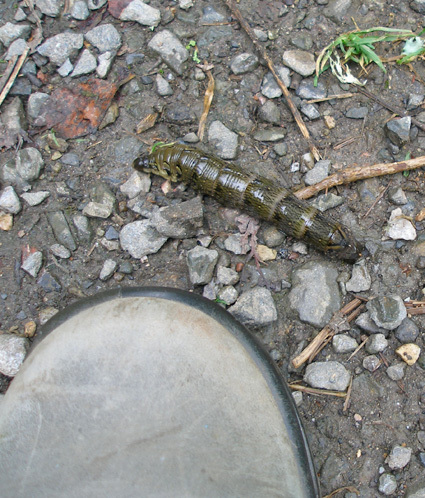 Sometimes visitors disturb the removable tubes and a few have been knocked to the ground (the tubes that is!). Last summer about half of the filled tubes were taken which is a pity as the developing bees probably did not survive. Anyway, by the autumn of 2014 there were about 30 filled removable tubes still left and I began to wonder whether they would make it through the winter. 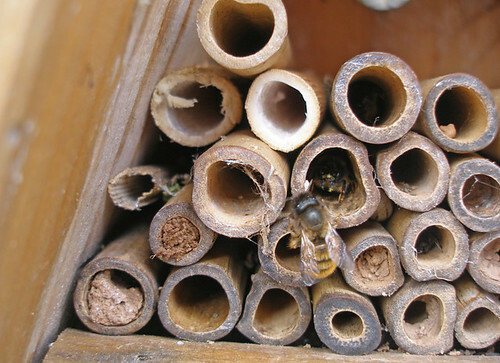 The removable tubes with one of last year’s mason bees and a friend. A newly filled tube can also be seen with its fresh mud seal. I thought long and hard about what to do and decided it would be better to store the tubes somewhere safer. They need to stay cool all winter so I put them in our shed which is not attached to the house. I carefully noted which was the front end of the tubes and stored them in a cardboard box with holes to allow air to circulate. I waited until October 15th last year to do this so that the bees had entered the pupal stage and would not be damaged by moving. 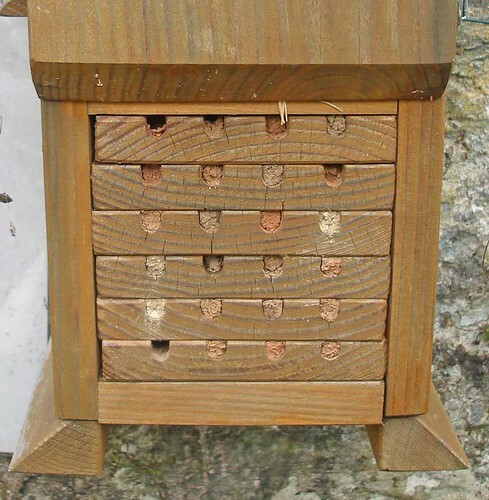 The nests in the wooden block, of course, stayed with the Bug House in the Garden. I can’t say I felt comfortable about doing this, it felt as though I was tampering with nature but I convinced myself it was for the best. The way things turned out, it was just as well I had put the tubes somewhere safe. 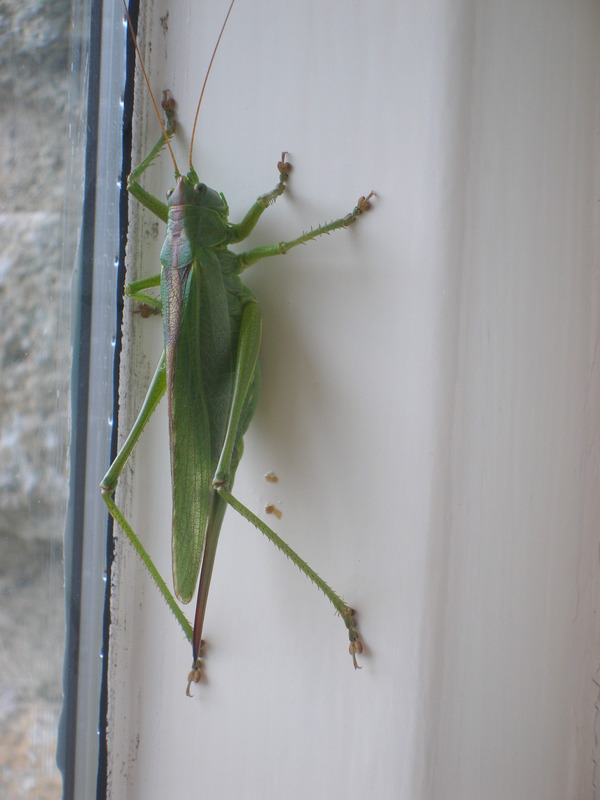 Around Christmas time, the Bug House was knocked off the wall, probably by someone using it as a step to scale the wall out of hours. It was put back, only to be knocked off again, this time early in February. With the help of Susan Taylor and of David Martin, who in fact did all the drilling and screwing, the Bug House was put up again but this time at a place I judged to be safer, higher up and away from potential scrambling routes in and out of the Garden. The Bug House has survived two falls showing it is quite tough, but I am concerned about the effect on the bees in the wooden blocks where several mud seals have been lost (see photos below); time will tell if the bees have survived. Back on the wall again! The removable tubes after the winter. With the winter nearly over and warmer weather in prospect, it was time to put the removable tubes back in their rightful place. Although I don’t expect to see the bees hatch until April, all the advice is to get the tubes in place by early March so that they can acclimatise and warm up slowly with the weather. 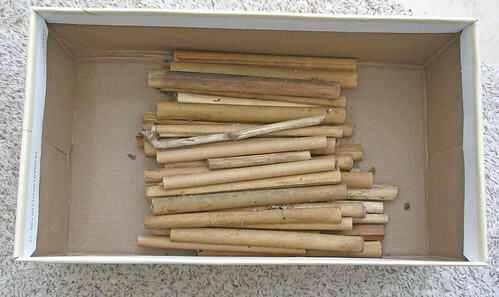 So, on March 6th I opened up the box and put most of the tubes back in the Bug House. 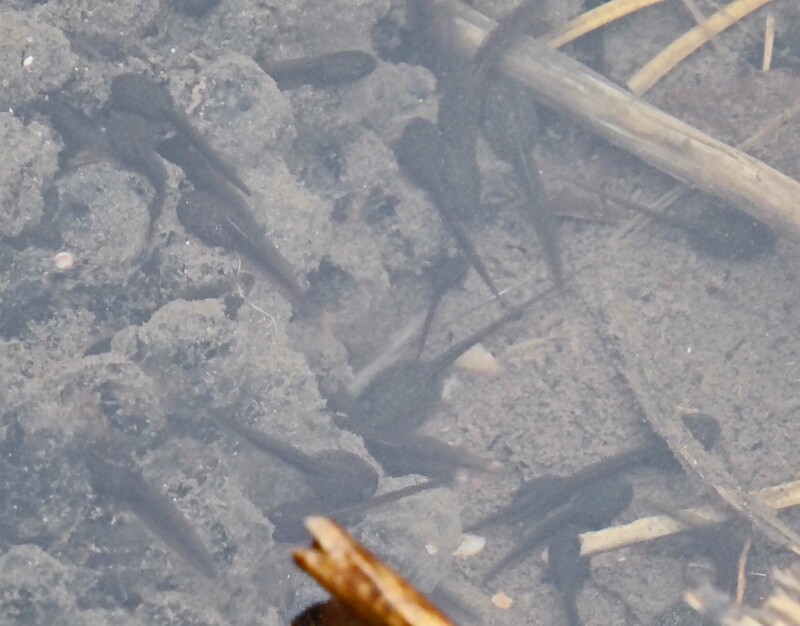 I was careful to put them back in the correct orientation so that the males can make their way out first. I saved a small number to put in an experimental Bee Hotel that I’ll describe in another post. 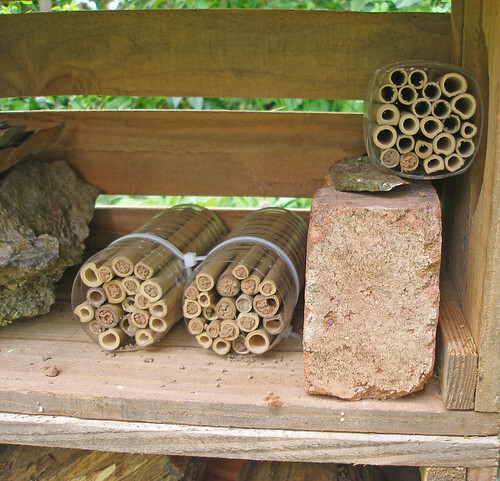 The removable tubes back in the Bug House; the majority are filled, a few empty ones have been added. The wooden block nests in February 2015 showing that several had lost their mud seals, probably as a result of the disturbance. Compare with the picture below from October 2014. The wooden block nests in October 2014 showing the neat mud seals. With the tubes safely back in the Bug House I began to look around for potential bee forage. 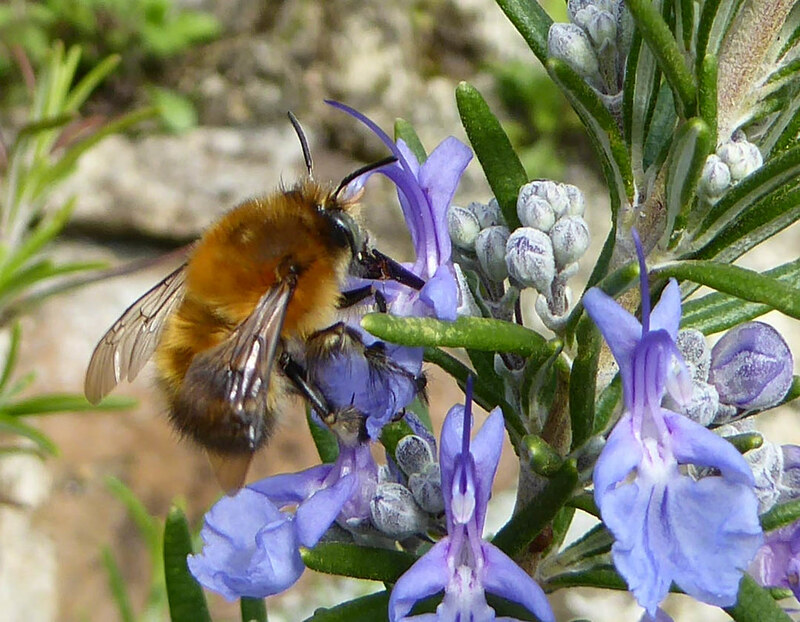 At present there are a few flowers in the Leechwell Garden, a little rosemary, some crocuses and several clumps of pulmonaria and I have seen honeybees enjoying the rosemary on sunny days. Also in one of the adjacent car parks there are some grassy banks populated with dandelions and celandines. 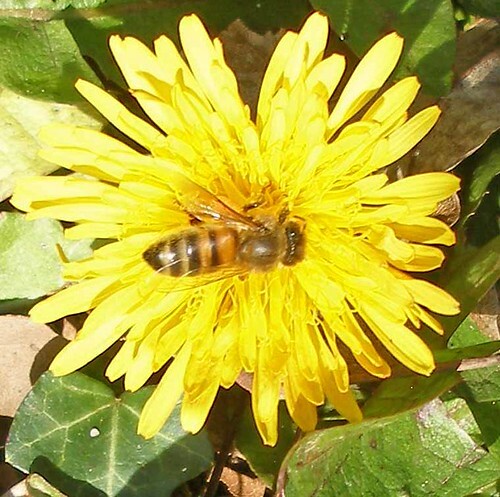 The dandelions are very popular with honeybees. 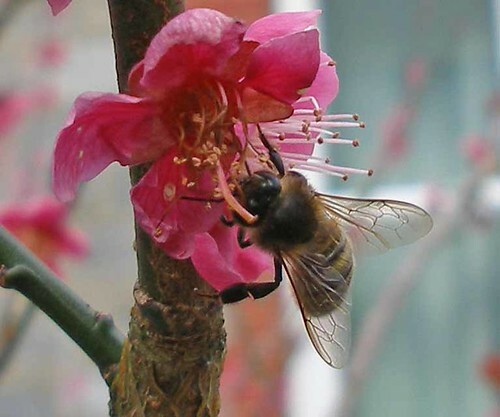 Also one of our neighbours has a striking deep pink, ornamental plum (Prunus mume beni-chidori ) which is currently in flower and when the sun shines there is a gentle, sweet fragrance and the bees flock to it; I have seen honeybees and one bumblebee. It still feels quite early in the year and the weather seems stuck in a cool phase, but there is some forage about and on a sunny day the bees know how to find it. 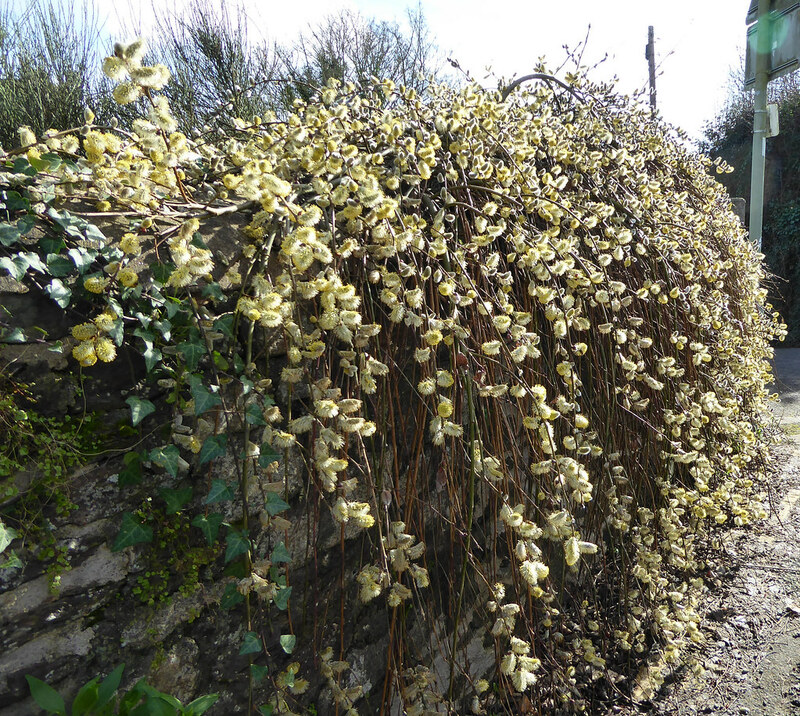 By the time the Osmia hatch out, which should be mid April, there will be plenty more forage about to keep all the bees happy.